I didn't title this post 'hello' because I couldn't think of anything better. In fact, the word hello is the purpose of this entire post. I wanted to make a point to pause and say hello before we go any further. You may have noticed this blog is a new social/digital channel for CUNA Mutual Group. We needed a venue to post more in-depth analysis and content beyond what 140 characters or a traditional social media post would allow. Next week at GAC and beyond, we will feature leaders and experts, industry knowledge and expertise and our thoughts in general on a variety of topics relevant to the industry here. In an increasingly efficient digital world, it's easy to forget we're still just humans talking to other humans. 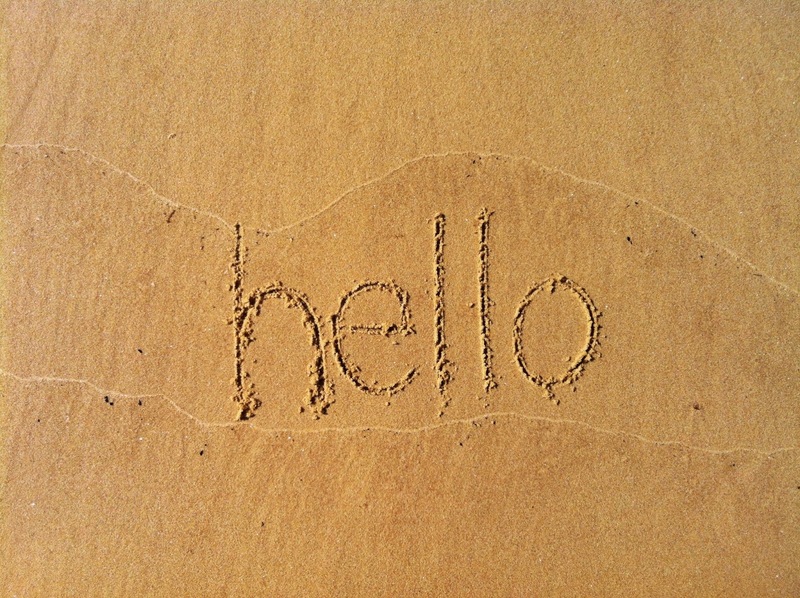 I read an article today about how the word 'hello' is the most valuable word in the ecology of human interaction. It was a good reminder about the human-centered element of connection that is so important to both of us here on this social media team. In fact, when I first met Michael Ogden here at CUNA Mutual, I was struck by his habit of always pausing to say 'hello, how are you?' before asking what he needed of his coworkers. We all find ourselves 'too busy' in the day-to-day of our work, and honestly, sadly, I'd never seen anyone do that in my professional career thus far. When I asked him why he does it, he passed it off as manners and a product of how and where he grew up...but I suspect there's more to it. Like me, like all of us humans, we seek real and genuine connections regardless of whether we're on a beach in Maui or the board room on Monday. If we can get closer with 'hello,' it is worth billions. "In a world of frenetic behavior and evident signs of pain and struggle, “Hello” paves the way towards connection. Yes, it can be a cursory pleasantry, but it can also be an entryway into something much more." So, in conclusion, hello, welcome to our blog, we hope to see you again soon!